Mike and Sulley are back! This time you’ll meet even more friends of all shapes, colours and sizes from the monster world as we go back in time to their college days. In fact, we go back all the way to where it all began. 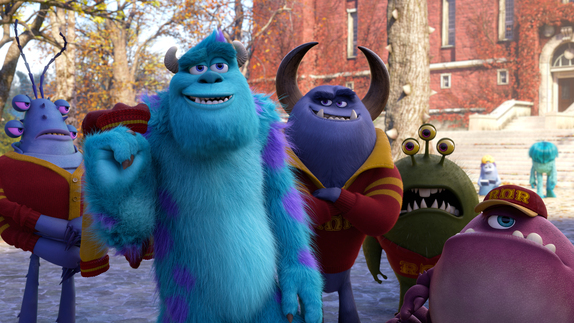 If you ever wondered how Mike and Sulley first met, don’t miss Disney•Pixar’s "MONSTERS UNIVERSITY"! So it comes as no surprise that I was simply ecstatic when I saw the trailer for Monsters University, a prequel (of sorts) to Monsters Inc. where Mike and Sulley were not the successful ‘top’ scarers that they were, but two young monsters on different paths who happened to collide into each other and embark on their journey together. This movie is set 10 years before Monsters Inc. so it is a great place to delve into the fun imaginary monster world and discover more about their education system: from the diversity of university life to the quirky names of their academic programs (e.g. elite scare program, now imagine if we really had a course like that in the real world hehe) and myriad of sports, clubs and societies (which should be rather similar but yet strange to us). Of course, that is not the say forgetting about the leads of this movie. Mike has lifelong dreams of being a great scarer, but his big ambitions are thwarted during his first semester when he encounters Sulley (who’s the equivalent of a jock – all brawn but hardly any brains) who thinks he’s all that. Their encounter soon brings out their inner competitive sprit, which soon gets out of control as they try to outdo each other and eventually gets them kicked out of the University’s elite scare program. However, it is because of this incident (and many others) that brought these two monsters together to become the great friends and ‘monstatic’ scarers they are in Monsters Inc.! Naturally, I am curious to find out how their friendship blossomed, despite their different personalities and perspective on life. Don’t you? Do you have the talent to scare? Well, actually if you want to win exclusive movie premiums and in-season passes to Monsters University , take the Monsters Aptitude Test [M.A.T] now to see if you're qualified! Wait are you waiting for?! 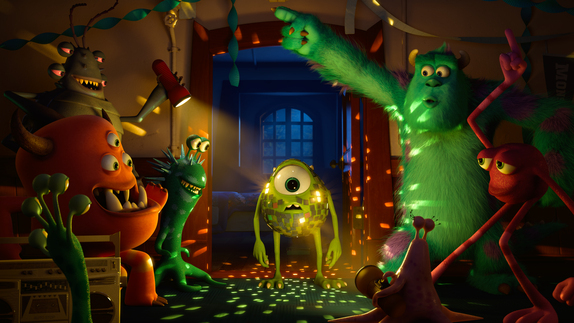 Catch Pixar’s MONSTERS UNIVERSITY in Singapore cinemas this 20 June 2013! For more updates, like the Official Walt Disney Studios Singapore Facebook Page, follow @disneystudiosSG and subscribe to the Official Disney Studios Singapore YouTube Channel!